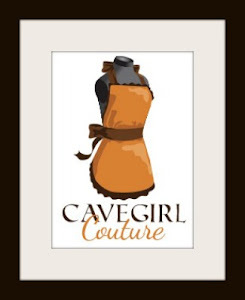 I was so excited to get a copy of Paleo Slow Cooking: Gluten Free Recipes Made Simple by Chrissy Gower for Christmas from my mom. 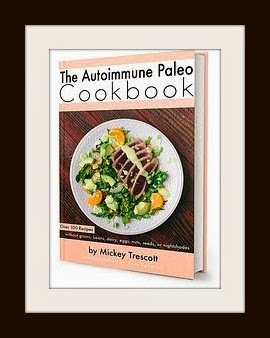 It was the last in the newest round of paleo cookbooks that I really wanted to add to my collection. There are so many recipes I want to try, but decided upon Fire Roasted Meatloaf as my first review from the book. 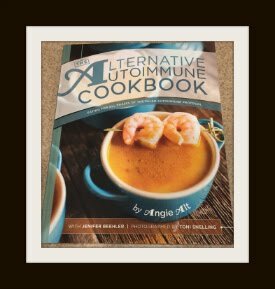 I couldn't find this recipe posted anywhere on the net yet, so if you want it, you'll have to buy the book! I first gathered my ingredients. 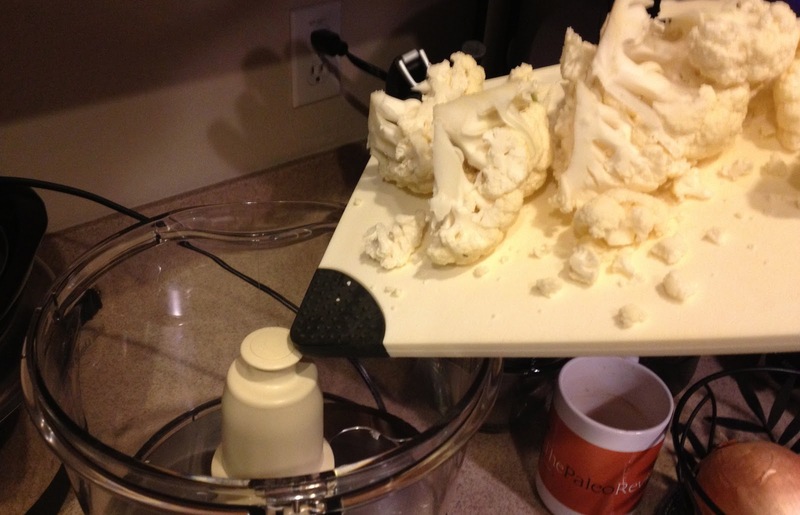 I roughly cut up my cauliflower and onion and put it into my food processor. I also added my garlic and pulsed until "chopped fine." 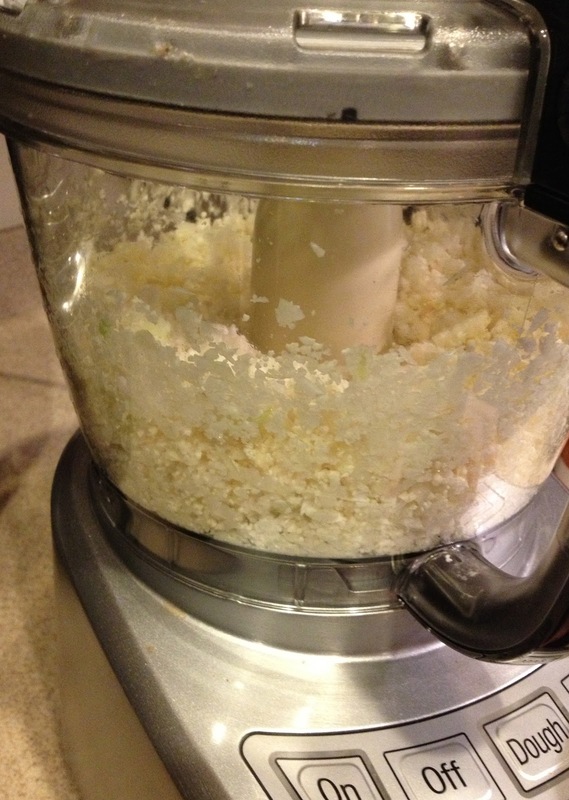 I pulsed the food processor and the result was the prettiest cauliflower/onion rice I've ever made. What a contrast to my experience with the stuffed peppers experience. I can't pinpoint anything that I really did differently that caused this cauliflower onion to "chop fine" and the other not. The I was tempted to stop making the meatloaf and just make cauliflower rice out of this batch, but decided that would be a real waste. 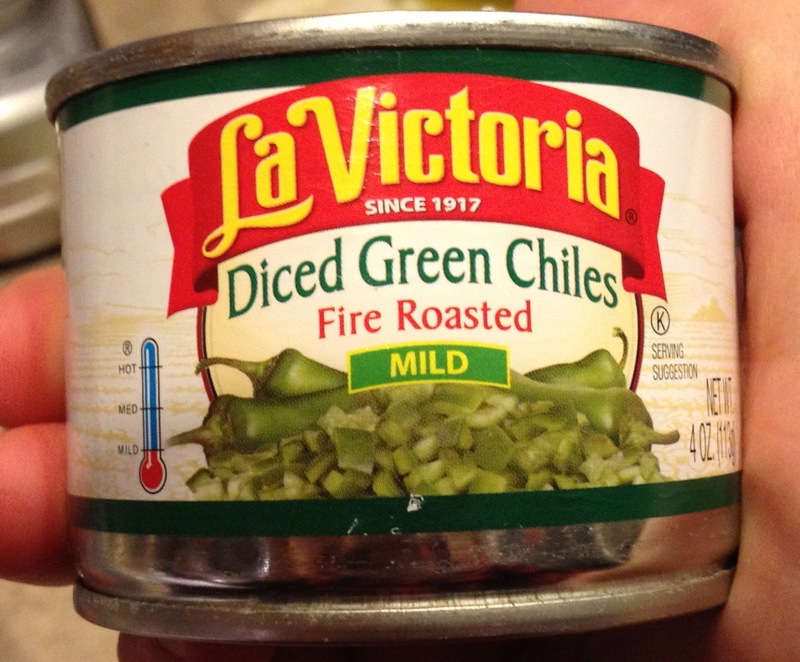 The recipe calls for Ortega brand canned green chilies. 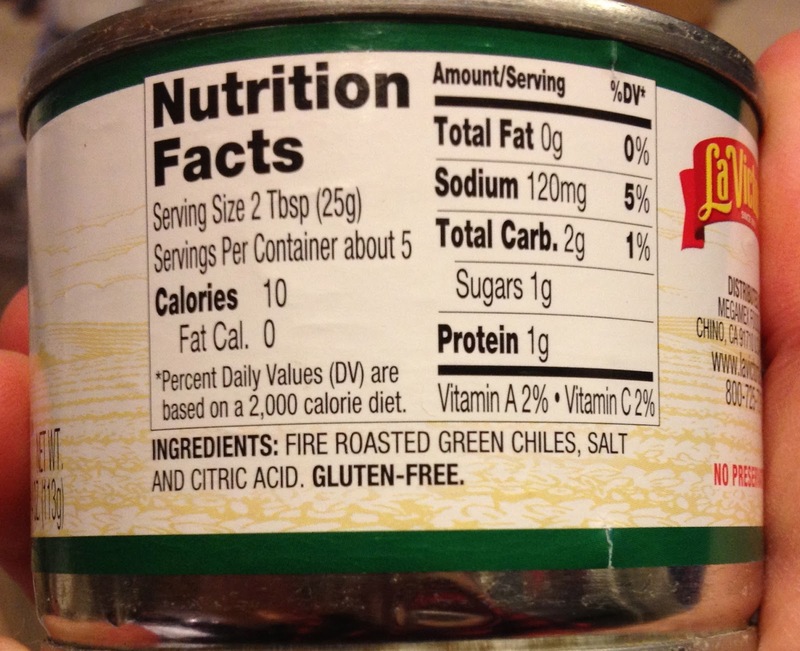 I couldn't find that brand at my big box grocery store, so I started reading the labels of the cans they did have for one without additives. This was the best one I found. Citric acid is usually found in citrus. At least it says its gluten-free. I put all of my wet ingredients into a big bowl. 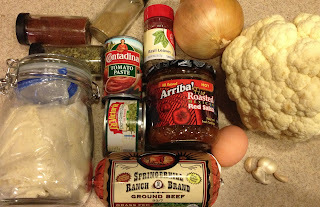 The recipe also suggests Trader Joe's brand salsa, but there is no Trader Joe's in my city (yet). 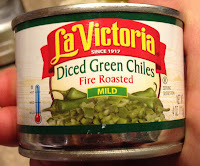 So again, I stared at the vast numbers of prepared salsas on the shelves at the grocery store and looked for one that was fire roasted but free of sugar and other additives. 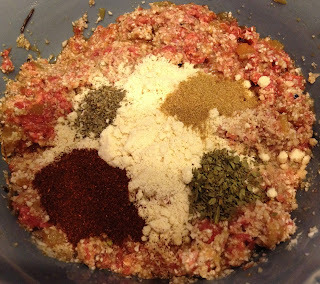 I got excited about mixing, so I mixed up the wet ingredients with the processed cauliflower-onion before mixing in the dry spices and almond flour. She also specifies a certain brand of almond flower, but I think my Honeyville Grain brand will do fine. After using the Honeyville Grain brand almond flour in several recipes, I do believe it is better than Bob's Red Mill texture-wise. Unfortunately, Bob's Red Mill is the most common brand in stores. Once everything was mixed up, the instructions say to form a loaf and put the loaf into your slow cooker. Well, my mixture was too loose and I knew if I made the loaf outside of the crock, it would fall apart while moving it. I dumped the mixture into the crock and formed the loaf in the crock. The recipe then calls for 5 tablespoons of tomato paste. 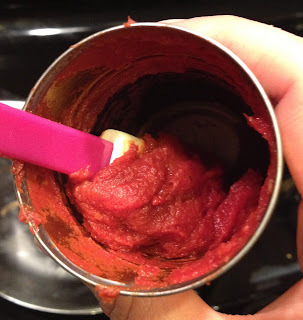 I figured I'd waste more tomato paste trying to measure them out of the can than just spreading a nice layer directly from the can onto the meatloaf with a spatula. I had about 1.5 tablespoons of paste left in my 6 ounce can of tomato paste after spreading some on the meatloaf. 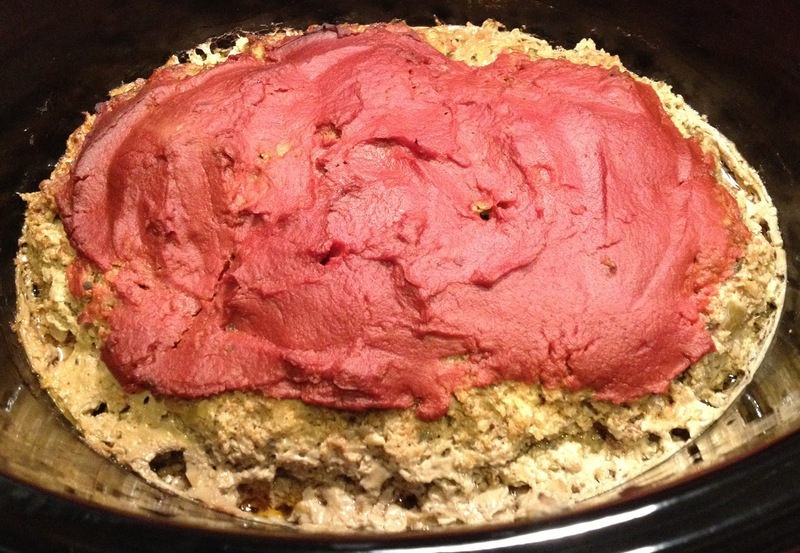 I set the slow cooker on high for 4 hours. When I returned, this is what I had. I was glad that there wasn't much liquid in the bottom of the crock. I checked the temperature using my instant read thermometer as recommended by the recipe and it was done. 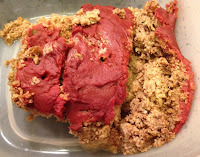 It was quite crumbly and I wasn't able to get a pretty slice as pictured in the book out of the crock. I then resorted to cutting it into large pieces to get it into a storage container without completely falling apart. After refrigerating overnight, it was far more stable and came out in pieces more resembling slices, but still not as pretty as what is pictured in the book. I thought briefly about the fact that this could be solved by putting the meatloaf in the crock in the fridge and waiting until cold to slice/remove. Which reminded me that in the book, at one point she talks about prepping ingredients in the crock the night before and putting the entire crock in the refrigerator to just pop in the base in the morning (I still wonder if this wouldn't lead to the crock cracking), but then later in the book she discourages food storage in the crock as it takes up too much room in the refrigerator. Sorry, my mind is wired to pick up on sometimes inconsequential inconsistencies like this. Regardless, I don't have room in my refrigerator for either scenario. 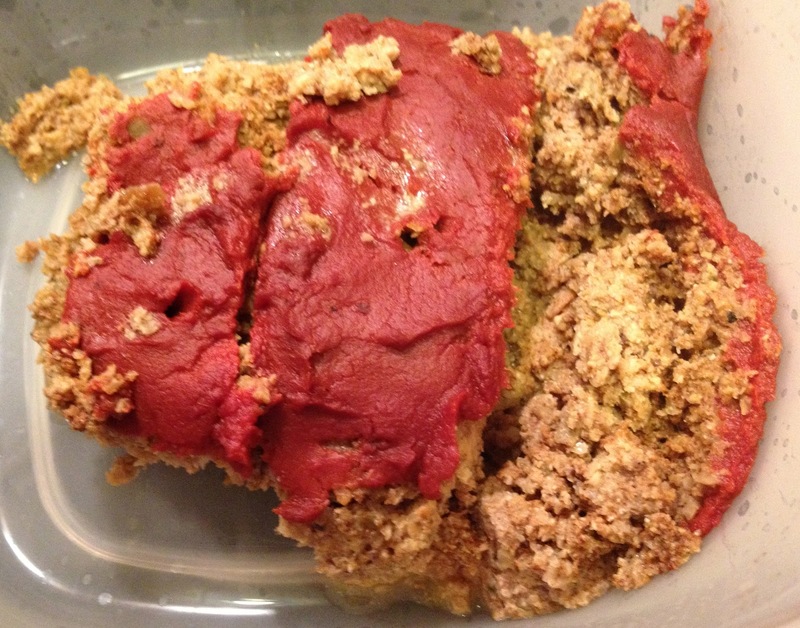 On the left is how my meatloaf survived the trip from the crock to the storage container. 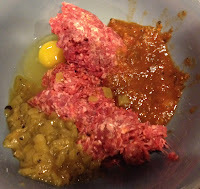 On the right is what was left in the crock. 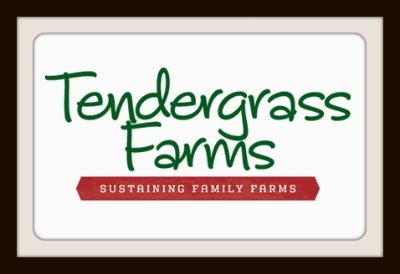 Accessibility & Cost of Ingredients: You should be able to find all of the ingredients you need at your big box grocery store with the exception of the grass fed beef if your big box doesn't carry it yet. My main big box has some grass fed ground beef, but its all pretty high fat. 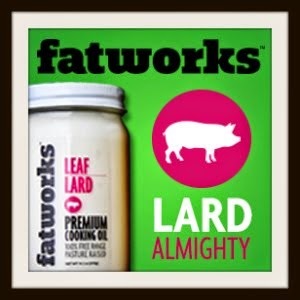 One big box store in my area carries 97% lean grass fed ground beef. 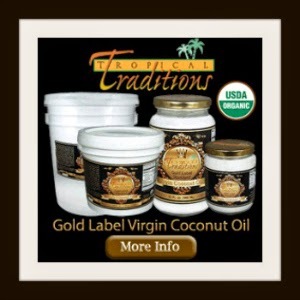 I had a pound of that in my freezer and that's what I used. 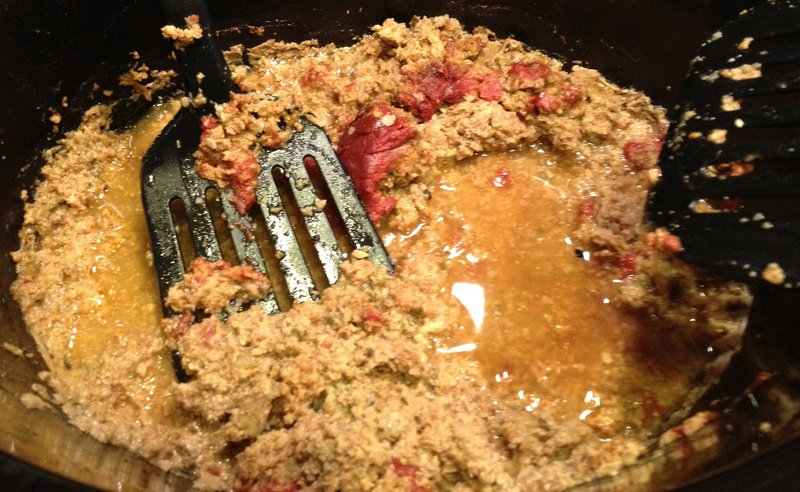 I opted for a leaner beef for this recipe because I didn't want there to be too much liquid/fat at the bottom of the crock to make the meatloaf soggy, or more soggy than it was. 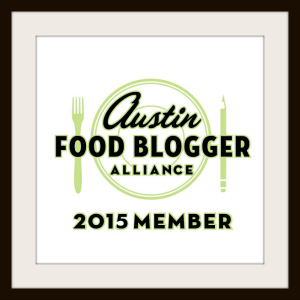 You may have to spend some time looking at salsas and chilies to find ones with clean ingredients. 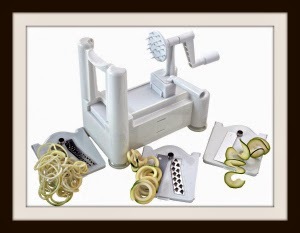 Preparation & Cook Time: The stated preparation time this recipe was 15 minutes. It took me 21 minutes from preparation start to turning on the slow cooker. I could probably minus 2 minutes for my extra mixing up of the meatloaf. The recipe says to cook on high for 4 hours. Since I was home, that's what I did. I wonder what the result would be if you cooked on high for 4 hours and then let the cooker switch to "keep warm" for a long period of time or if you cooked on low. Why? Because even though the temperature is lower on the "keep warm" setting, whatever you have in your crock is still cooking. Clean Up: The clean up was pretty easy and everything I used except for my knife went into the dishwasher. The recipe calls for only fractional amounts of a head of cauliflower and an onion, so I went ahead and chopped those up before storing them so they'd be ready to quickly use. 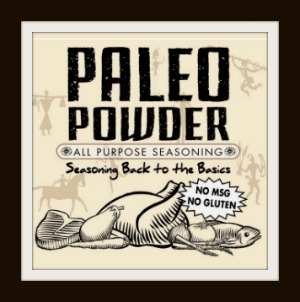 The Paleo Review: Thumbs Up! 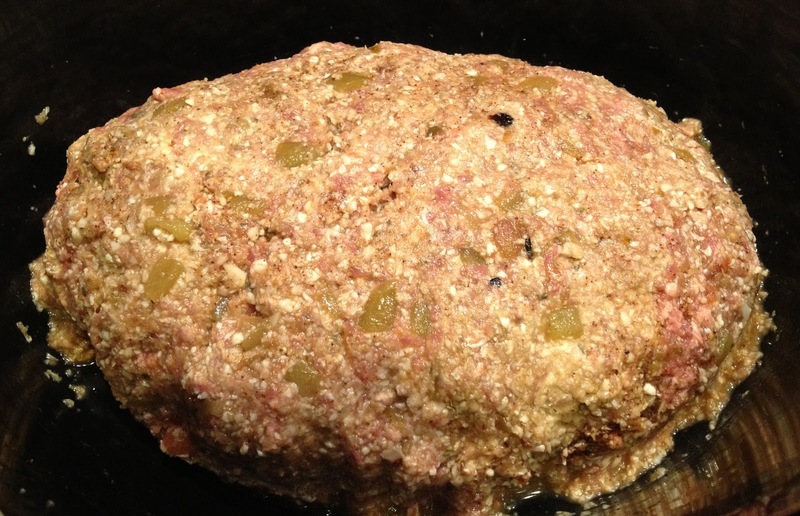 Like the Stuffed Green Pepper recipe, this meatloaf was a bit different than I've made in past with all of the non-meat ingredients. This time though, the flavor was great. The first piece I ate right out of the slow cooker was quite spicy in a heat/mouth on fire way. After a day in the refrigerator, it was still spicy but I could taste the flavors of the salsa and peppers rather than just heat. 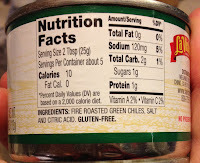 The level of heat you get will depend on what chilies and salsa you find/ use. 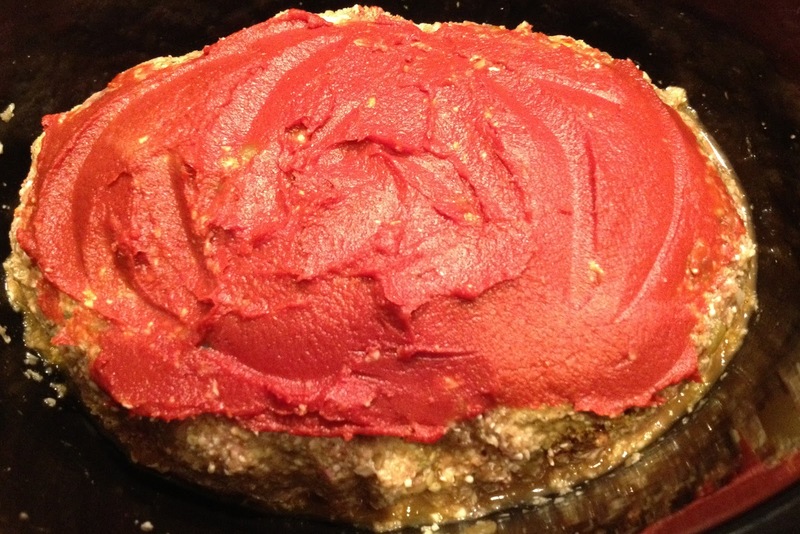 I love cooking with my slow cooker, but one thing you have to over look with many dishes is its texture/presentation. This meatloaf was a little soggy/loose right out of the crock, but I think that's just a characteristic of foods that are slow cooked rather than any fault in the recipe. 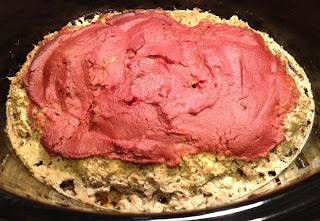 I had actually tried to cook a much larger meatloaf in a slow cooker once before and it didn't retain any form once it had cooked all day, so this was a much better result. I will certainly make this again, but I may just cook it in the oven instead of the crock pot to see if the consistency is better. If you like a flavorful, spicy meatloaf, then this is your dish! 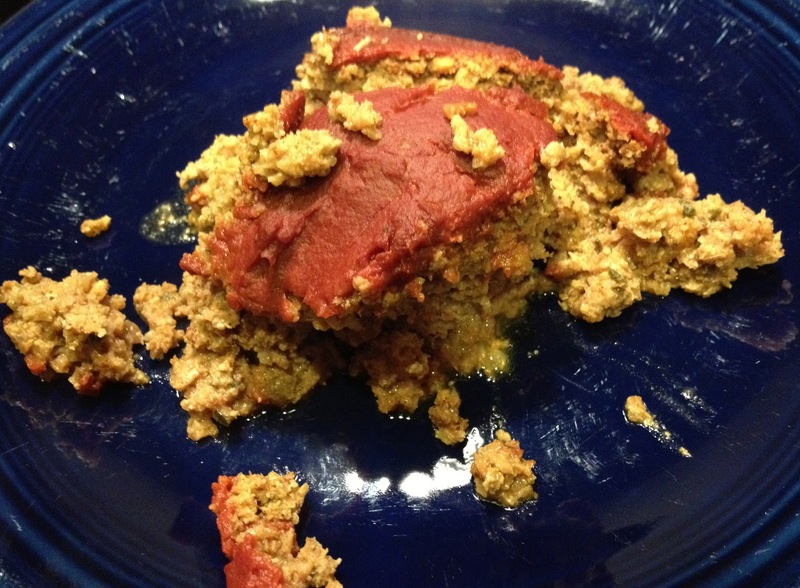 Do you have a favorite paleo meatloaf recipe?